The snow from our harsh winter has been melting and showers have started to make their way into April. 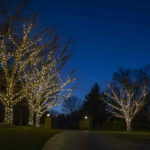 This causes a lot of excess water on landscapes, especially home properties. A solid yard drainage system is essential to your home. 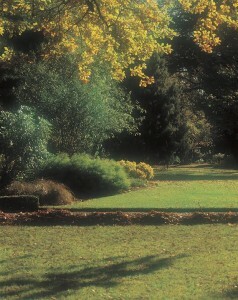 Maintaining the drainage system is also crucial to the survival of your yard. Many times, new homeowners are overwhelmed with the amount of knowledge they need to know about caring for their property. 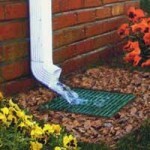 One of the many items on the list is to have and care for a drainage system. Many times, rainwater is overlooked and just accepted, but sometimes it can be damaging to a home. We have some tips to help you remember to take care of this potential issue. 1. Put away money for yard drainage. This is important so that if something goes wrong such as a basement flood, you have the ability to have it fixed immediately. Also, if too much mud accumulates in one spot in a yard, you can have a landscaping company manicure the damaged lawn. 2. Know where your sump pump is. Sometimes, backups can happen which causes the water to seep into the ground and flood a unit. Another issue is if the sump pump is dumping water out regularly, the area around it may never dry up. An idea for the sump pump is to hook it up to a bird bath, making it into a little fountain every time water needs to be released. 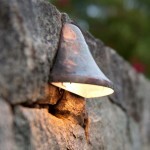 It will look aesthetically pleasing in your backyard and help control the flow of water. 3. Don’t let water sit. It is difficult to landscape and can ruin mowing equipment. 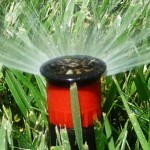 When you leave water on the lawn, whatever fertilizer or pesticides you used will not be effective. They will just collect in the water, cause mold and other yucky things to grow and attract bugs. You may then have a miniature swamp on your hands. Also, plants will not be able to breathe if you let water sit around them. Homeowner’s Associations usually have inspections and will check the irrigation system on your property. Again, it is important to make sure your sprinklers are functioning properly as well as your drains. Make sure you clean your gutters out regularly as well. Get a Yard Drainage System from Aqua-Bright! 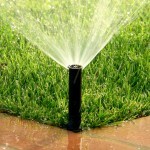 The best way to deal with a lawn drainage problem is to consult your local drainage and irrigation expert. The experts at Aqua-Bright know how to diagnose a lawn drainage problem and will work with you to identify the solution that best fixes the issue and fits within your budget. Aqua-Bright can re-grade your lawn to alter water flow, install French drains, or modify existing drainage systems to fix the issue. Make sure that you’re calling your local irrigation experts to get started with your underground drainage system. To talk to someone about a lawn drainage problem, in Baltimore, Maryland or the surrounding areas, call Aqua-Bright today at 410-489-9009 or take a tour through our website. This entry was posted on Sunday, April 19th, 2015	at 10:09 pm	. You can follow any responses to this entry through the RSS 2.0	feed. Both comments and pings are currently closed.